Cotswold Farm Stay Bed and Breakfast (B&B) and Holiday Cottage Accommodation for weekend breaks and longer holiday stays in the beautiful Cotswolds countryside. The Cotswolds region is well known for its stunningly beautiful countryside with rolling hills and hidden valleys. 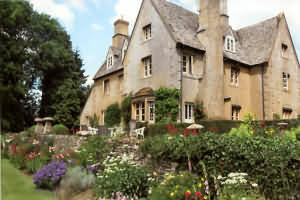 Cotswold agriculture is one of the main industries and consequently there are many farms offering unique styles of accommodation in the form of farmhouse kitchen bed and breakfast and wonderfully situated holiday cottages, quite often the result of barn and outbuilding conversions. This page contains a complete alphabetical list of all the Cotswold Farms advertising with us. If you want to choose your accommodation by geographical location then please go to our main Accommodation Home Page and click on the place you may want to stay at. Most Cotswold farms are keen supporters of eco-friendly farming and the preservation of the natural countryside. Many farms ensure the continuation of thriving meadows of wild and often rare flowers including cowslips, oxlip, bee orchids, wild mallow and Welsh poppies. Cotswold Farmers are often supporters of keeping rare breeds of cattle and sheep (including the Cotswold Lion) and horses of all types will not be far away. The Cotswolds are particularly famous for race horse breeding and training. Bould Farm Idbury Nr Chipping Norton £65.00 Bould Farm is a 400-acre family farm, run by Gwyn and Lynne Meyrick with son Robert. We farm sheep and arable crops. 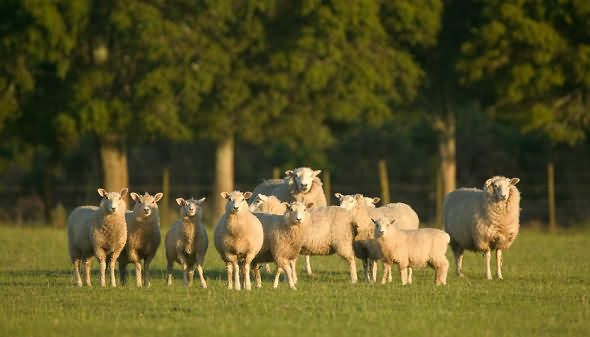 Part of the sheep flock is pedigree Suffolk and Charollais sheep, Robert breeds working sheep dogs. Elms Farmhouse Gretton near Winchcombe £85.00 Elms Farm consists of arable fields and pasture, on which we stock 300 breeding ewes. We also have very friendly sheep dogs - Blue and her daughter Sky, who loves to play with anyone. North Farmcote Winchcombe £50.00 North Farmcote is a working family farm producing sheep and cereals. It is situated high on the Cotswold escarpment in an Area of Outstanding Natural Beauty. Townstreet Farm Tirley , Gloucestershire £38pppn Town Street is a peaceful period residence on a 500-acre working farm (mainly Store cattle) with lush meadows leading down to the banks of the River Severn. we raise store cattle and sheep. We also grow corn. Located near the villages of Great Tew, South Newington,Swerford and 6 miles from the market town of Chipping Norton and 7 miles from Banbury Weekly prices from £414 to £962 depending on time of year and cottage chosen The farm offers guests 70 acres of private woodland to explore. We have a Games Lawn which has croquet, badminton/volleyball, trampoline, swings and a slide. There are also mountain bike trails, indoor games room with table tennis, pool and darts board and a model aircraft/kite flying strip on the farm. There are chickens, sheep, goats and geese and a host of wildlife to discover. Our main goal is to provide peace, tranquility with superior craftsmanship throughout. A rural escape set in fifty acres of peaceful Worcestershire countryside; Phepson Farm is surrounded by picturesque farmland and 1½ acre coarse fishing lake. This 4th generation family farm is part of a national wildlife-farming scheme and the land is managed to help conserve & nurture the natural habitat.